At IT Partners we recognise the importance of educating tomorrow’s IT professionals whose skills and expertise will become even more valuable as technology advances. It is essential for these individuals to be exposed to practical learning opportunities whether that be in the form of an applied degree or vendor certification, for example, CNNA or MCSA. Given the dynamic nature of the industry there are a range of areas related to IT education. Regardless of your specialisation, it is important to gain practical, industry-aligned experience that employers demand. This will ensure that you are ready for the workforce upon the completion of your studies. It is also favourable to have a broad skill-set and holistic understanding of the wider context of the IT business domain. To demonstrate the value that we see in applied IT education, we are proud to support the Wintec Centre for Information Technology Special Awards. These awards recognise the hard work and dedication of high achieving students. 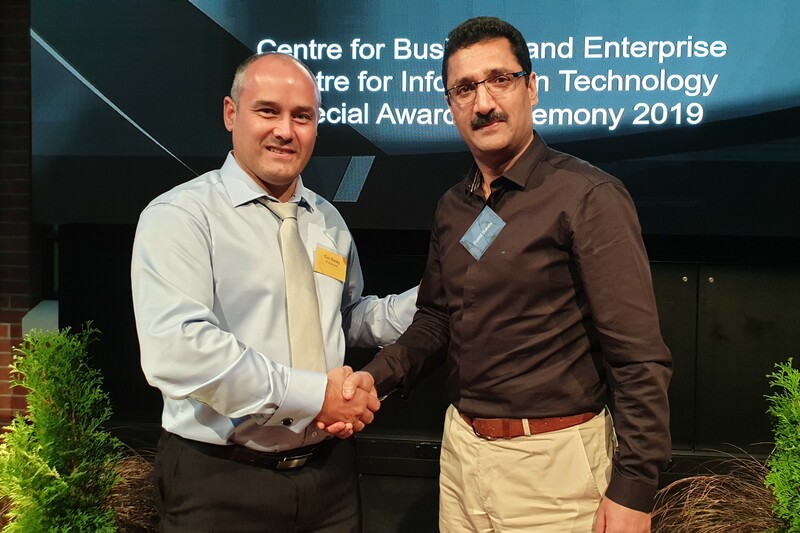 This year’s awards were held on the 18th of March where we had the opportunity to congratulate the recipient of the ‘IT Partners Award for the Postgraduate Diploma in Applied IT Highest Achiever’, Sushil Bakshi. Our Head of Engineering, Tim Bixley, is also a member of the Wintec IT Advisory Group, investing his time to ensure that IT courses offered at Wintec contain content that is highly applicable in today’s working environment. We are always keen to hear from talented people who believe they have something unique to contribute. If you’re ready to join a company that’s changing the IT game, feel free to get in touch via email or call us on 07 957 2650.